^ 2.0 2.1 2.2 2.3 2.4 2.5 2.6 Diphtheria vaccine (PDF). Wkly Epidemiol Rec. Jan 20, 2006, 81 (3): 24–32. PMID 16671240. ^ Kowalski, Wladyslaw. Hospital airborne infection control. Boca Raton, Florida: CRC Press. 2012: 54. ISBN 9781439821961. 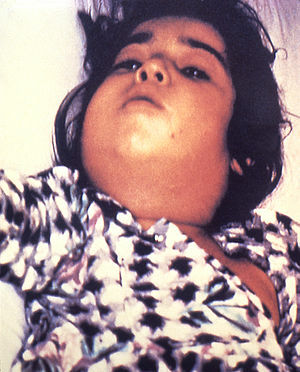 ^ Diphtheria. who.int. 3 September 2014 [27 March 2015]. ^ Mandell, Douglas, and Bennett's Principles and Practice of Infectious Diseases 8. Elsevier Health Sciences. 2014: 2372. ISBN 9780323263733.